Your nose is stuffy, your throat is scratchy and your head is pounding. Is it a cold or the seasonal flu? Symptoms can overlap, but it's important to recognize that, especially in vulnerable populations like children and seniors, the flu can be dangerous. The only way to truly know if you have come down with the flu or merely a cold is to see your doctor, but here are some basic differences between the cold and flu, according to Healthline. It’s called “common” for a reason. It’s a seasonal respiratory infection that’s the leading cause of doctor’s office visits and missed work or school days each year. According to the National Institute of Allergy and Infectious Diseases, approximately 22 million school days are lost each year in the U.S. due to the common cold. Unlike the flu, cold symptoms are generally mild and in most cases do not lead to any serious health complications. According to Mayo Clinic, more than 100 different viruses can cause the common cold. However, the rhinovirus is most often the one that makes people sneeze and sniffle, and it’s highly contagious. When someone who’s sick sneezes or coughs, he or she sends virus-filled droplets flying through the air. You can get sick if you touch a surface that has recently been handled by a cold-infected person, and then touch your nose, mouth or eyes. Symptoms of the common cold include runny or stuffy nose, sore throat, sneezing, slight fever (more common in children), cough, headache or body aches and mild tiredness. Colds are contagious during the first three days, so stay home and rest up. 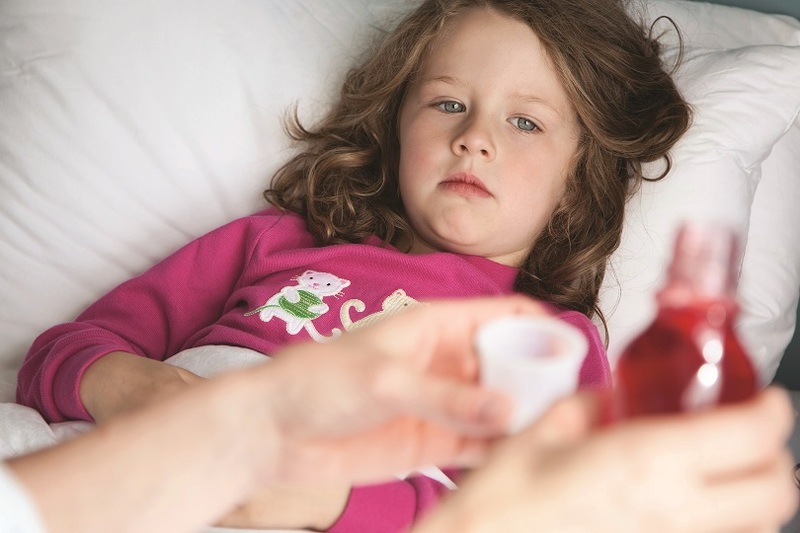 Because this is a viral infection, antibiotics are not effective in treating a cold. Drink plenty of fluids to avoid dehydration. It’s very hard to stop the common cold, but there are ways to prevent it. The best prevention is avoidance. Stay away from anyone who looks sick, and don’t share utensils or any other personal items. Also, practice good hygiene. Wash your hands often with warm water and soap to get rid of any germs you might have picked up during the day, or use an alcohol-based hand sanitizer. When they’re not freshly washed, keep your hands away from your nose, eyes and mouth. Adopt healthy habits, such as getting plenty of sleep, eating lots of fruits and vegetables, exercising and managing stress to keep cold germs at bay. In most cases, fluids and rest are the best way to treat the flu. To control your symptoms and feel better, try over-the-counter decongestants and pain relievers such as ibuprofen and acetaminophen. However, never give aspirin to children. If you see signs of pneumonia, such as trouble breathing, a severe sore throat, a cough that produces green mucus or a high fever, call your doctor immediately. If children develop labored breathing, irritability, refusal to eat or drink or trouble waking or interacting, seek medical treatment. The best way to prevent the flu is by getting the flu shot. Most doctors recommend getting the shot in September, or the start of flu season. Wash your hands often and thoroughly with warm soap and water, or use an alcohol-based hand sanitizer. Avoid touching your nose, eyes, and mouth, and try to stay away from anyone who has the flu.